After the success of our ‘John Gardner Centenary Celebration’ with the English Chamber Orchestra in March 2017, we returned to Cadogan Hall on Wednesday 16th May 2018 for an all-Russian concert. Two CMF Artists, Michael Foyle and Mihai Ritivoiu, made their ECO concerto debuts under the baton of Michael Collins, who was himself making his ECO conducting debut. Michael Foyle won the 2016 Netherlands Violin Competition and his acclaimed performance of Szymanowski’s Violin Concerto No. 1 with the Rotterdam Philharmonic Orchestra led to an immediate invitation to give his debut recital at The Concertgebouw, Amsterdam. 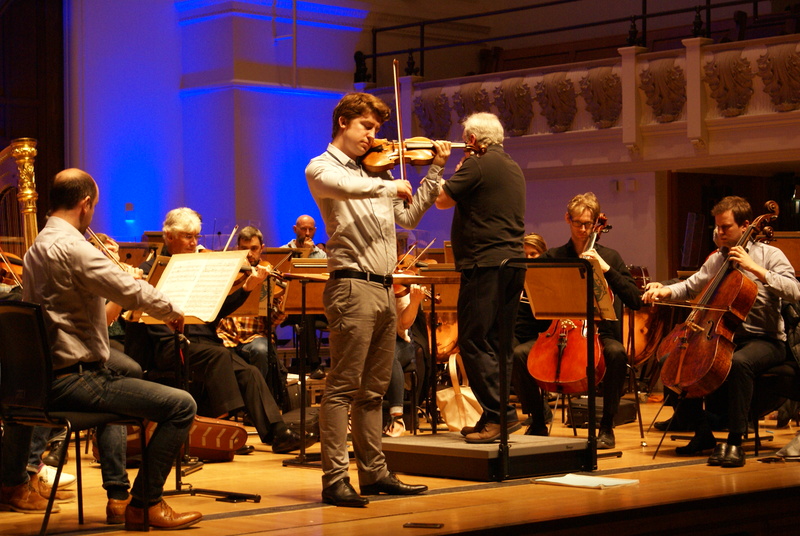 Here he is in rehearsal with Michael Collins and the English Chamber Orchestra on the day of the concert. Romanian pianist Mihai Ritivoiu won the Dinu Lipatti National Competition in Bucharest in 2010 and was awarded the Gold Medal in the Beethoven Piano Society of Europe Intercollegiate Competition in 2016. 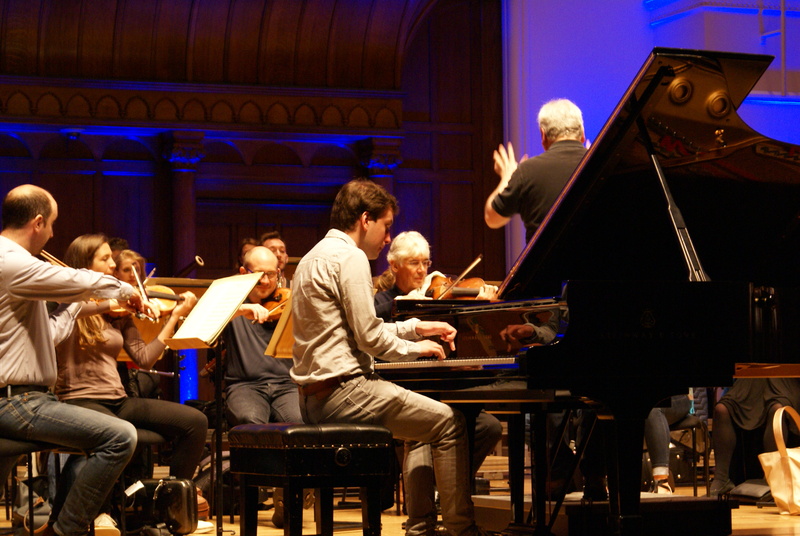 Here he is in rehearsal with Michael Collins and the English Chamber Orchestra on the day of the concert. Putting on events like these is a significant part of what we do at CMF because the benefit both Artist and audience. For Michael and Mihai, the chance to work an orchestra like ECO and a world-class musician like Michael Collins is invaluable; after the concert they couldn’t wait to tell us us how much they learned during the day and how much they valued this high-profile performance opportunity. But of course wasn’t simply for their benefit. Concerts like these allow our Artists to share their talents with audiences, whether it be at Cadogan Hall, or in an opera, live on the radio, on CD, at the City Beerfest, or in recital at venues such as The Wallace Collection. We believe that by investing in these talented musicians early in their professional careers we can not only secure their own future, but help to ensure the future of quality music in the UK and beyond.